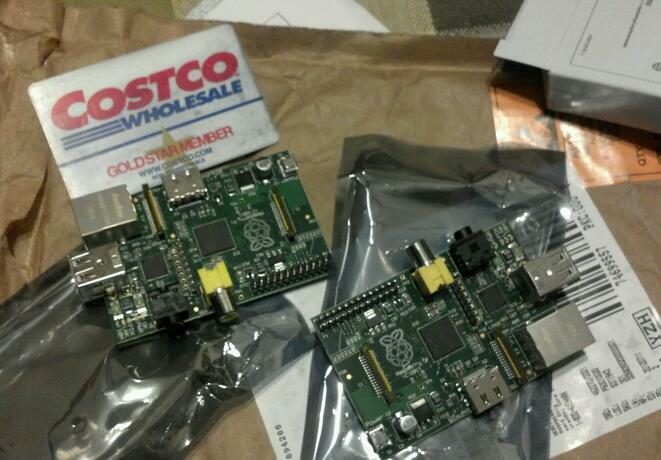 After painstakingly waited for 3 months, I finally got hold of my two units of Rasberry Pi. This $35 computer has been a buzz in the internet world because of it’s cost, size and capabilities that can rival the more expensive PC’s in the market. Since it’s release a couple of months ago, this little PC wonder (although it was meant to be used for young students to be exposed in programming) is now being developed to use in different applications in the field of Robotics, Voice Recognition, Digital Media, Remote Control and more. For me, I see this small device as an affordable tool to help our students in developing their skills in the field of technology. I hope that giving this tool will spur innovations among our students. For this I am launching the Buko Pi Project. Please visit our Project Page here. You got all this great ideas for Abra. Mabalin ngata nga agawid ka laengen ta matulongam ti probinsya? I like to donate to your project either in kind or financially. Not that rich but looking at this cheap computer, I can probably spare some units for your project. by the way nice name. kasla na-sam-it ti dating na. There is also a cheap version of tablet. “India unveils new version of ‘world’s cheapest tablet – Aakash 2’”. Maybe it can help you with your project.